Sake began with a grain of rice. Scotch emerged from barley, tequila from agave, rum from sugarcane, bourbon from corn. Thirsty yet? 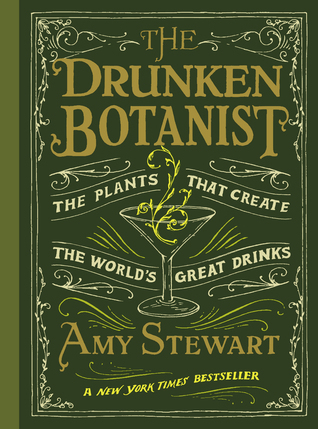 In The Drunken Botanist, Amy Stewart explores the dizzying array of herbs, flowers, trees, fruits, and fungi that humans have, through ingenuity, inspiration, and sheer desperation, contrived to transform into alcohol over the centuries. Of all the extraordinary and obscure plants that have been fermented and distilled, a few are dangerous, some are downright bizarre, and one is as ancient as dinosaurs—but each represents a unique cultural contribution to our global drinking traditions and our history. This fascinating concoction of biology, chemistry, history, etymology, and mixology—with more than fifty drink recipes and growing tips for gardeners—will make you the most popular guest at any cocktail party. Take a nature walk along the top shelf with author Amy Stewart and local enthusiasts of all that is the best in brews, spirits, and craft cocktails.